Today, we dedicate a post to our dear friends Peter and Elizabeth, who were married in a wonderful ceremony on Saturday. This is special to us for a couple of reasons, other than the fact that they are awesome people who deserve to be happy. Peter and Elizabeth accompanied us on two hikes during our journey, #5 Middle Sugarloaf and #22 Tremont. And Peter took the picture and designed our book jacket. 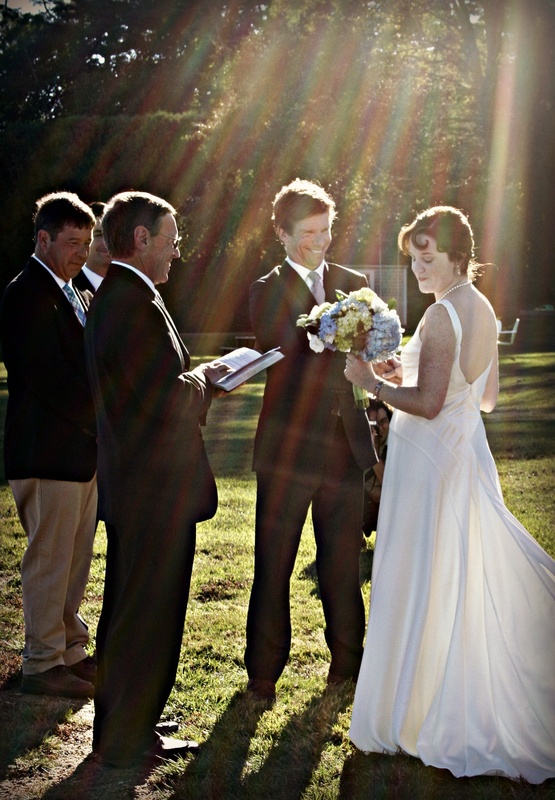 Their wedding was a beautiful affair at the Wentworth-Coolidge Mansion in Portsmouth. Does anyone remember how the mansion ties in to our 52’er quest? We are all connected. Before the wedding, Janelle was tasked with gathering some shells and sea stones for the mason jar lanterns so we were able to get a little hike in as well. A fine day, a fine new journey for Peter and Elizabeth. 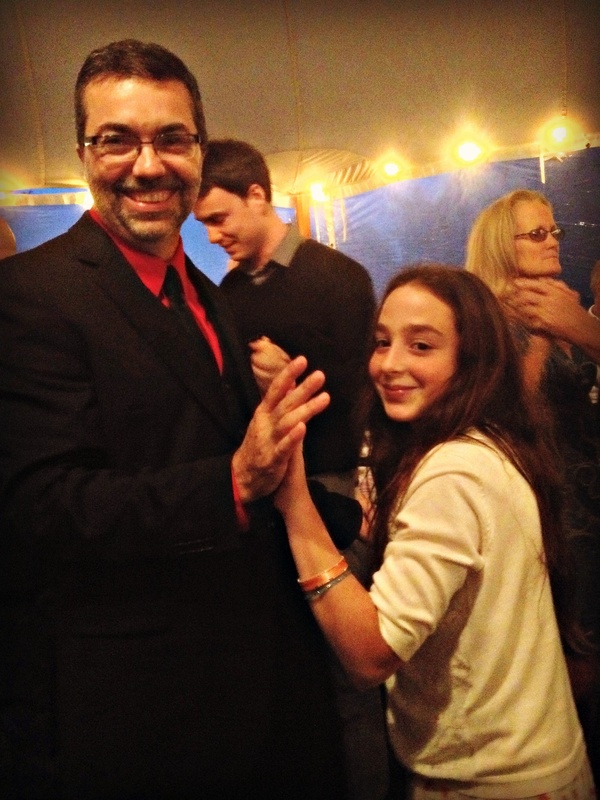 Cutting the rug. We’re better hikers! 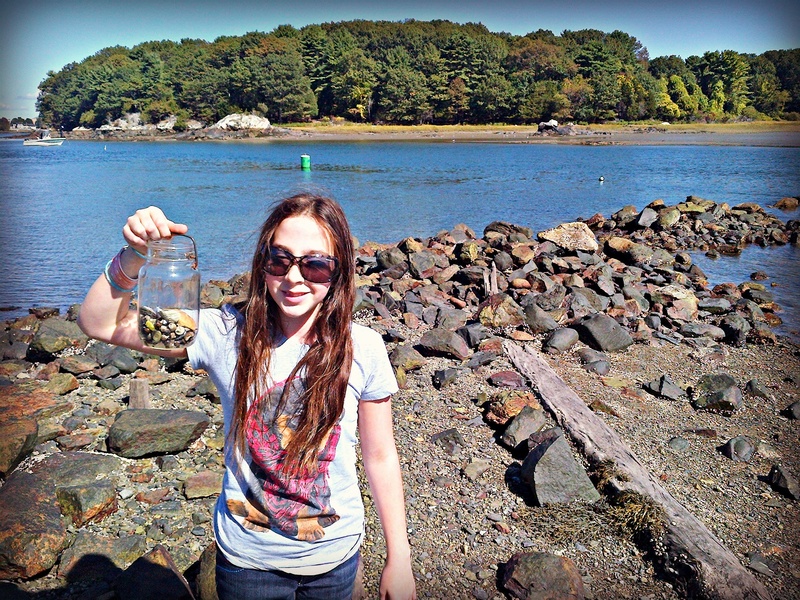 Sea shell hike by the bay. Good morning 52’er fans. We have a couple quick announcements today to catch everyone up on the latest and greatest Buffalo and Tough Cookie happenings! First up, a new record! 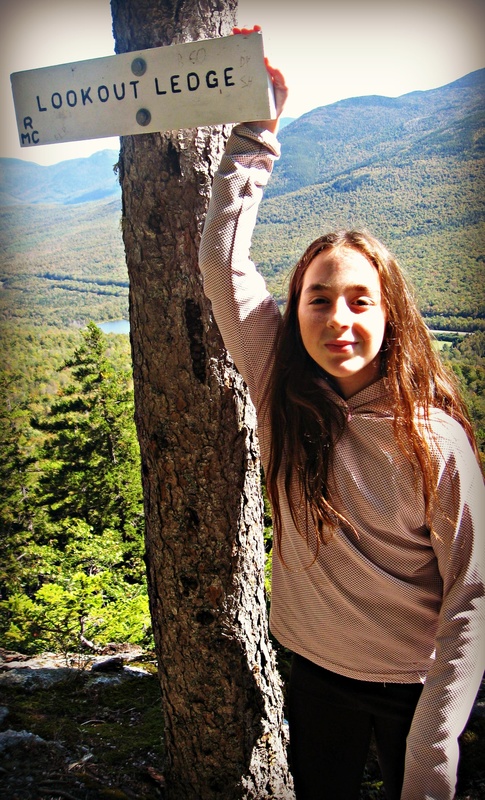 We received a wonderful note from the Over the Hill Hikers yesterday telling us that Janelle is officially the youngest hiker to complete the 52’er list. That’s 10 years, 6 months and 26 days for anyone who is keeping track! We’re thrilled by this accomplishment, but even more so look forward to finding some passionate kids (and their parents) out there who have the adventurous spirit to beat that record. Who is it gonna be? Moving on, Janelle and I were also very honored to officially receive completer patches at our Over the Hill Hikers event in Sandwich last week. That is a very fine group of people up in that beautiful little town. We hope to hike with them someday! Finally, our friend Yvon created a very nice downloadable pdf of the 52 list. Here’s a link to that. I’ll also put a permanent link up on this home page: 52 WAV List pdf. So, on we go! A big hello to all our new subscribers, we’re thrilled you decided to come along on this ride. We have a bunch of events in Greater Manchester coming up soon, so check out our event list above for details. There’s much more hiking to do, so let’s get out there and enjoy the fall! Keeping up with the madness! Grand views at Lookout Ledge! Sorry for the long space between posts but Janelle and I have been very busy with events, school and, you know, life in general. The book is doing well, so right off the bat, thank you all for the support, enthusiasm and kindness. If you’ve read the book, I would love and appreciate your support via a review on Amazon. On Monday, Janelle and I were honored by the Over the Hill Hikers, the creators of the 52’er list, at an event where we presented our story to a packed house of very enthusiastic and kind hard-core hikers. And they gave us our 52’er patches, Janelle’s first! I’ll post a picture of that later in the week. They fed us, and encouraged us and made Janelle feel very welcome. This is a very fine group of people and an emotional “home-coming” of sorts for us. After all, without this list, none of this would be happening. They have a website (Over the Hill Hikers) but if really want a history and stories about this group, there is a fun book written about them by Shirley Elder Lyons. 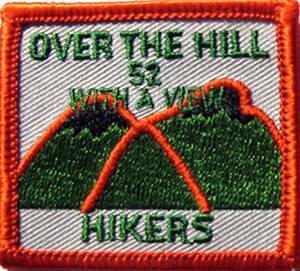 Check it out here: Over the Hill Hikers book. Then, Tuesday was primary election day in Manchester and you know what that meant? That meant Buffalo and Tough Cookie were on the trails. We headed up to Lookout Ledge in the Randolph hills to catch some mountain air and get some amazing views of King Ravine and the Northern Presidentials. This is a great family friendly hike, though we took the steep route. But even that only came to about 3 miles round trip. Up at the ledge, we ate lunch and bathed in the sun like two lizards. Soon, fall will be here, so we were thrilled to take advantage of one of the last days of summer warmth. I’ve posted a couple pics from the hike below. Today, I’m off to Vermont for an event in Morristown. 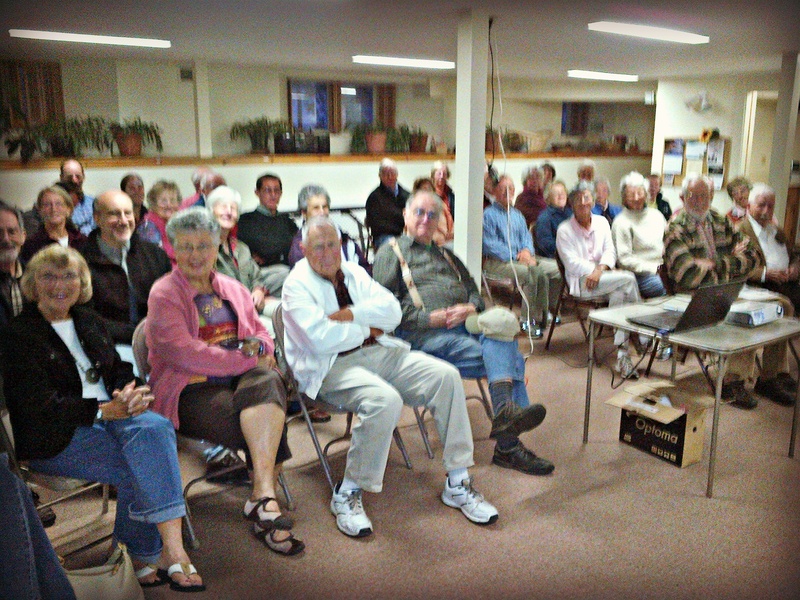 Tomorrow I’ll give a talk to the Manchester Rotary. Then, we’ll have a week off before the craziness starts again. Check our event schedule above, we’d love to see you! Until then, keep on hiking and peace! 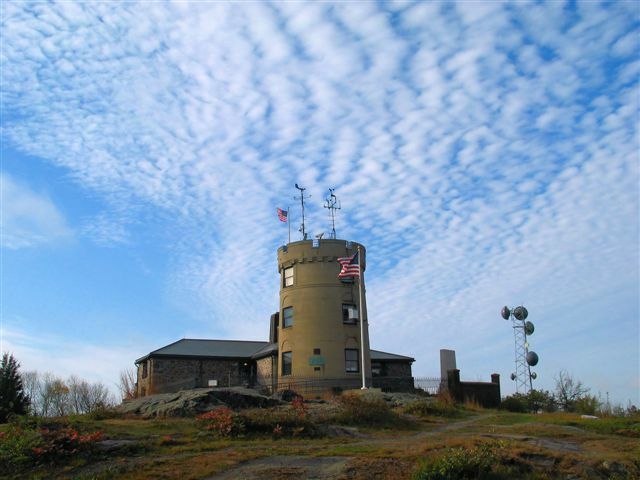 We’ll hike to Blue Hill Observatory. We have a busy week coming up, friends, starting with an event on Saturday, Sept. 14 we’ve been looking forward to for months! If you haven’t been to Blue Hill Observatory just south of Boston, you are missing out. Check this out – we are doing two hikes! The morning hike is a girls hike, the afternoon hike is open to the public. And for both hikes we’ll give a presentation and meet and greet at the top. Trish and the girls played a big role in our 52’er quest and if you enjoy hiking, have kids, or just enjoy darn fine writing, you’d be well advised to look them up. Trish also wrote a beautiful book, Up: A Mother and Daughter’s Peakbagging Adventure, and she’ll be presenting and signing as well. 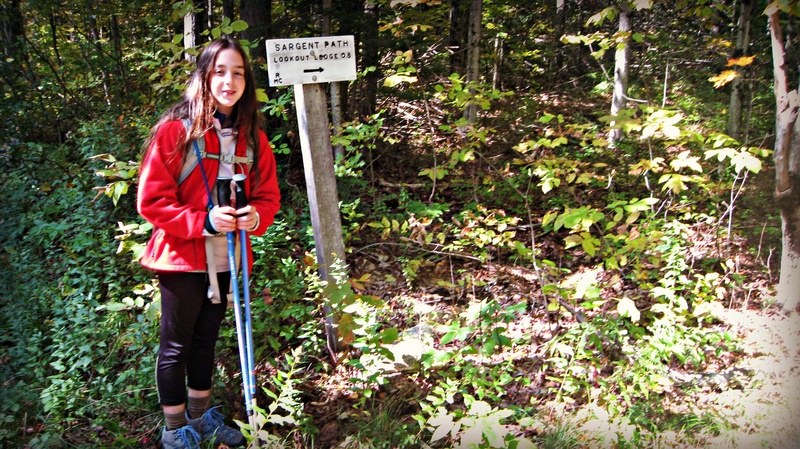 These are mellow, family friendly hikes that almost anyone can do, great for beginners. There are some costs associated with the day, and reservations are recommended. So, give the info below a look and hopefully we’ll see you there!